Here is a rare book, one that I recommend wholeheartedly. The writing is excellent, the characters are vivid and the story is moving. The author, Yiyun Li, was raised in China and came to the U.S. to pursue a graduate degree in science. She stayed to study writing, and she adopted English as her language. This, her first novel, was released in 2011 to broad acclaim. 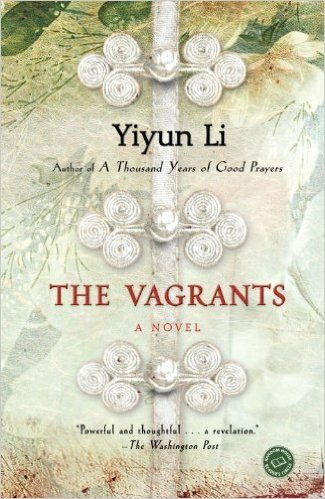 “The Vagrants” opens on a day in the late 1970s when a young Chinese counter-revolutionary is to be executed for her failure to reform herself after 10 years in prison for doubting the precepts of the Cultural Revolution. Interestingly, the young woman is not a character in the story; her fate is sealed before the book opens. We first meet her parents and then various other residents of Muddy River, the fictional town where she was raised and will die. The writer has set up this dramatic situation and populated her story with well-drawn characters. What flows is how they react to the execution and how their reactions affect the rest of their lives. Among the characters are a physically disabled girl whose parents treat her as a nuisance and a servant; an odd young man whose parents are gone and whose only relative, his grandmother, has died; a successful newscaster who has gratified her mother by marrying into a politically prominent family; and an aging couple who have spent their lives as wandering beggars. As might be expected, an execution ordered for incorrect thoughts is a reflection of a totalitarian culture. The condemned prisoner had been an ardent Maoist until, at 18, she began to question her beliefs. Her boyfriend at the time reported her change of heart to government authorities, and for this he was rewarded with the opportunity to enlist in the People’s Army. Throughout the book we see great cruelty among people, even among family members, that we come to recognize as the personal cost of life in a regime that rewards obedience more than any human quality. For the people in the story, the costs are profound. In addition to a clear and skillful written style, the book is distinguished by the author’s respect for the integrity of her characters. While most fiction writers cut their characters to serve their plots, Li seems to work the other way around. In this book, she lets her characters respond as they will to what is happening around them. It enhances the effect for the reader. It is likely not a coincidence that this book was finished and copyrighted in 2009, 20 years after the Chinese government’s violent suppression of popular demonstrations in support of democratic reforms. Since that time, the government has stifled discussion of the events in books or schools. The post below is from Human Rights Watch, an interview with an American journalist who covered the situation at Tianenman Square in Beijing.